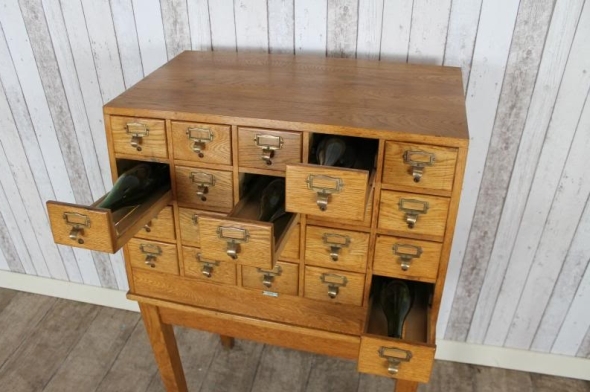 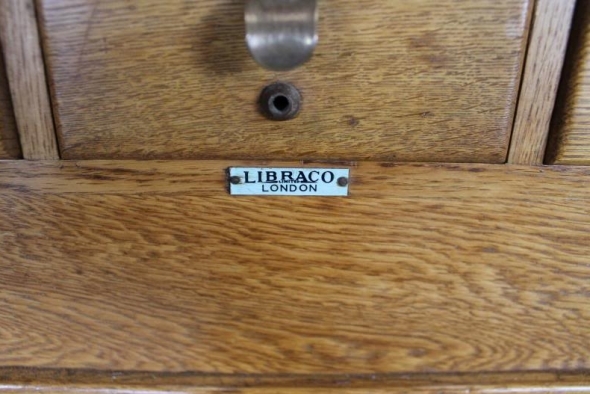 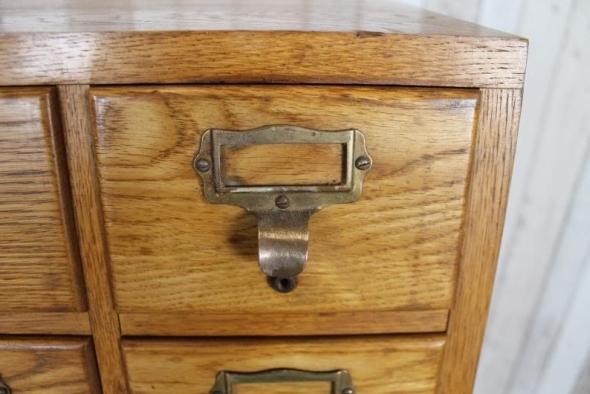 A unique vintage solid oak filing cabinet, in a lovely warm golden oak colour. 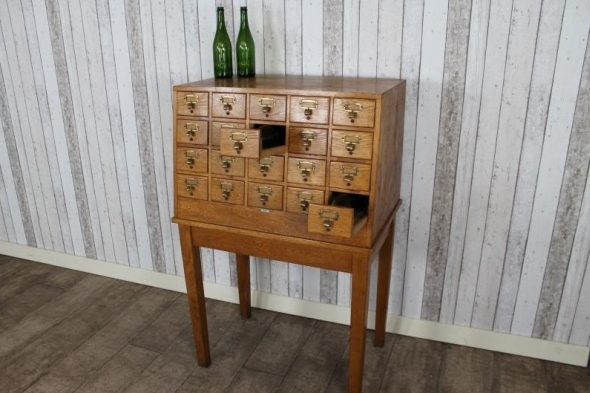 The item is in excellent condition and would be a superb feature in any home or office. 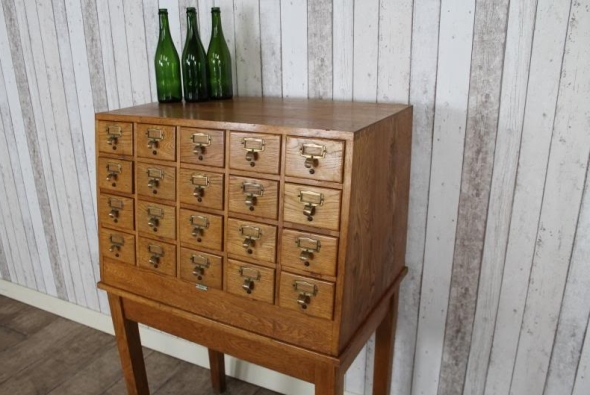 This would have been used for storing index cards in offices. 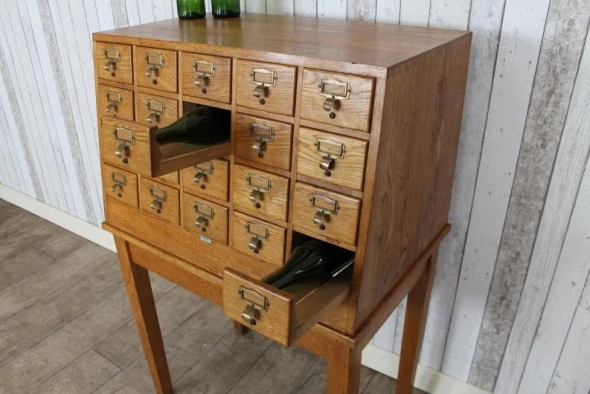 We’d suggest it could now be utilised as a funky wine rack as each drawer will hold a standard bottle of wine!